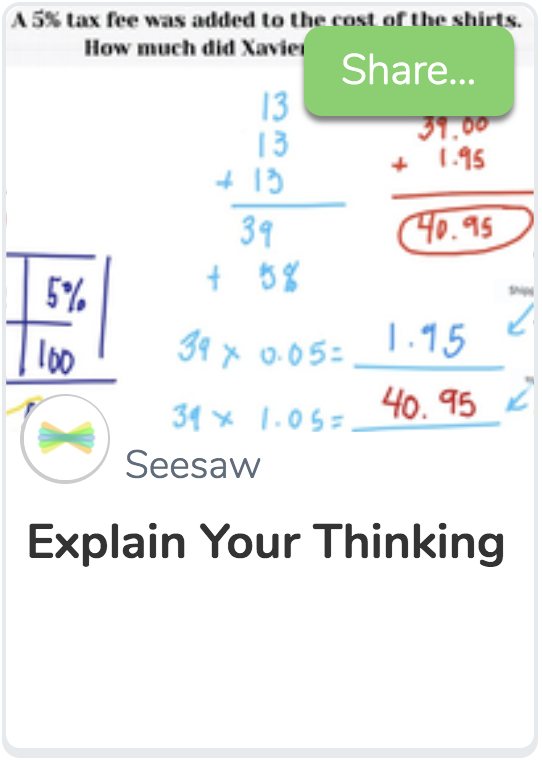 Collect student work by taking photos with Seesaw and organize it into Seesaw folders so you can finally stop sifting through mounds of papers. ✅ Create a separate folder named “Conferences” for easy reference. Encourage participation (and have them lend you a hand!) in picking work they’re proud of. Ask students to think back on their progress or look to the future about what they’d like to learn. ✅ Promote student reflection with these activities or create your own unique activity! Students love having a wider audience for their work. 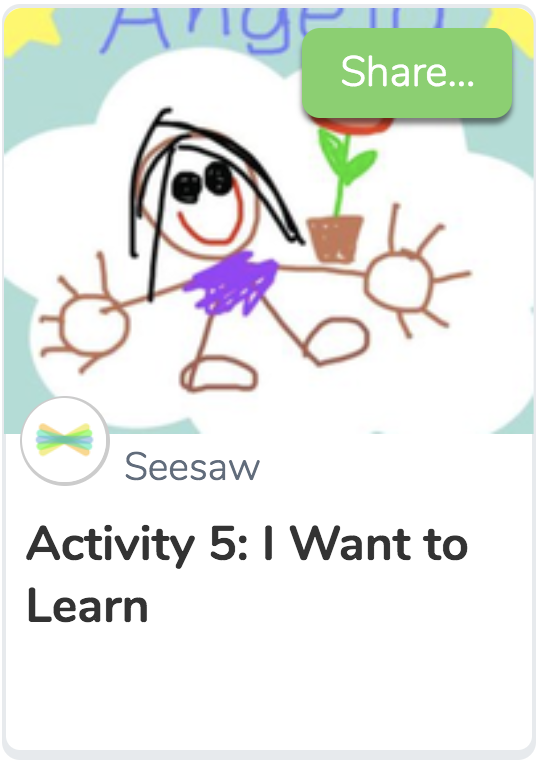 Show families what Seesaw is all about and how to join while meeting with them face-to-face. ✅ Up to ten family members per student can stay in the loop using the Parent and Family app (iOS, Android) or the website. Join us for a live professional development webinar or watch a recorded session. Follow @Seesaw on Twitter. Join Seesaw Teachers on Facebook.